NetEnt had announced that it would be able to sell its products on 23 may 2012. On August 15, 2018, two similar Slots would like to publish. Berryburst and Berryburst Max should only differ by the profit Factors and payout ratios. The Slots are already offered by some Casinos, so we looked at them once. In berry burst and the MAX-Version is fruit slot. Since I have an aversion to this type of machine, Matthias has taken over the part of the Test. He was immediately impressed by the Slot, but this was mainly due to the profit factor of 6,000 times. The animations were first class for him. The Interaction of Sounds and graphics hardly any improvement. In short: He was immediately in love. However, I would like to first describe the actual Game first in peace and then go on idea behind the two slot machines and try to describe what NetEnt wants to achieve with Them. Berryburst is a 5-reel 3-row Slot. All winnings will be paid out as a Cluster. As soon as 5 or more symbols are connected in a Cluster, there is a payout. As the small icons you have chosen diamonds, spades and hearts. Higher profits allow limes, grapes, tangerines or raspberries. The game is played by an ice cube, which expands on the entire roller and induces a respine. You can get up to 4 free spins in a row. If you really get 5 Wilds in a row, the last win is doubled again. There are no additional modes. It is therefore a Cluster Pay Slot, which has been equipped with the game principle of Starburst and has significantly more potential. In addition, the effects have been significantly upgraded, so that the gameplay is higher than the well-known classic. What’s the difference between Berryburst and MAX now? NetEnt is now a MAX-product-line. It stands for slot machines with greater profit potential. In the past, they had been restricted to Slots with high-quality graphics, low profit Factors, but regular Wins. It seems to have been realized that not all players are addressed. For casual players you will therefore publish a normal Version, where you can win up to 3,000 times, but often get smaller wins. But there are players who want to see bigger wins and not many small ones. You want the full thrill and if you Win, get a big sum. For them there should be a corresponding Slot under the addition MAX, which differs in terms of profit potential, variance and payout ratio. What NetEnt says about the new product? 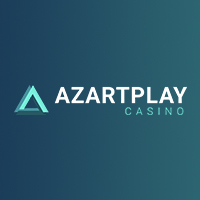 It is important for us to vary the volatility in our Games, because we know that our partners require more flexible games for different gaming needs and we are a supplier that listens to our customers and delivers quality. We are sure that the MAX versions will add another Dimension to our already very popular Portfolio, and we are happy to raise the standard of player experience. In the past, Microgaming has made similar Attempts. Game of Thrones had released a slot with 15 and a slot with 243 paylines. You seem to have discarded this System again. Ultimately, it was confusing and in the end most players opted for the 243 way option. It remains to be hoped that NetEnt does not have the same experience with the normal and MAX versions. Perhaps you should also like Pragmatic Play to give a value for the variance right at the beginning of the Slots, so that each player knows what to do and the decision for a Game is easier. Most NetEnt Casinos will introduce the Games in the next few days. 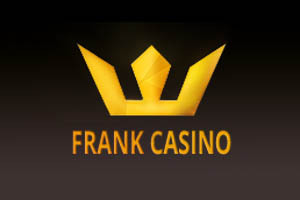 SlotV Casino and Frank Casino already have the Berryburst MAX Slot. 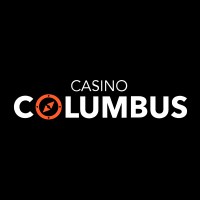 At Columbus Casino he was short time and was then taken back again, the reasons were not called us. The actual Release date is December 23, 2012. This is why it is unusual that a Version already exists at some Online Casinos. By the manufacturer, it is envisaged that the casual player, the normal Version and players looking for Big Wins, the MAX variant. It will show whether this type of division can prevail.